No longer will the Winchester brothers save people or hunt things, for CW’s insanely long-running Supernatural will come to an end following its 15th season, which is set to air next year. 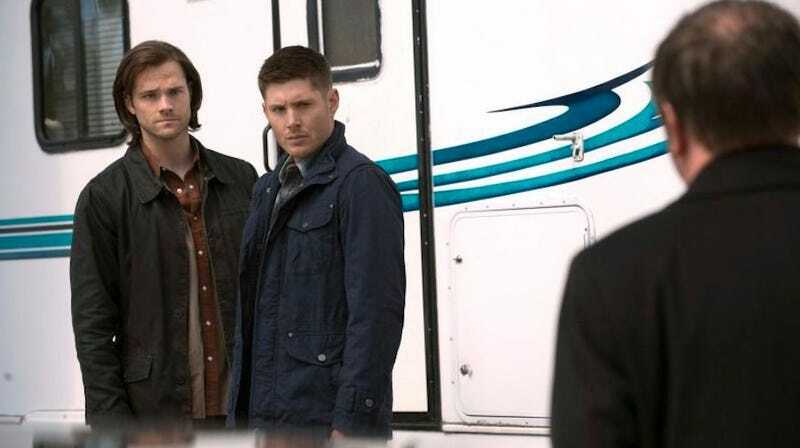 Eric Kripke’s monster-of-the-week show, which debuted in 2005, follows two hunky brothers, Sam and Dean Winchester, as they spar with the paranormal from the front seat of their 1967 Chevy Impala. A cornerstone of The CW, the show has developed a massive fanbase, spawning Supernatural fan conventions and an abundance of creepily incestual fan fiction. It was renewed for a 20-episode 15th season in January. Watch the two-part announcement below. Supernatural helped turn The CW into the teen-leaning juggernaut that it now is. Shows like Riverdale, Supergirl, and Legends Of Tomorrow currently call it home, and a huge slate of upcoming projects include a Lost Boys reboot and spin-offs of both Riverdale and Jane The Virgin. The loss of the Winchesters will be palpable, but The CW is going to be just fine.